Grace Hair and Beauty Salon is a Brisbane based company certified by the reputed Napoleon Perdis Makeup Academy and started doing business in 2009. We operate professional hair and beauty salon where our clients can pamper themselves to the fullest. 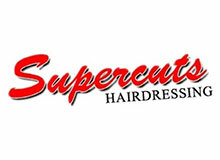 Our hair and beauty experts are very enthusiastic and will give you a warm welcome. Under the leadership of Sarah, the salon has continued to provide professional beauty and facial services with strict quality assurance, earning wide industry recognition for our quality. It’s because we appreciate that you put your trust in us that’s why we always ensure that fulfilling your wishes and desires is our first priority.